Let the countdown begin! I always start un-officially counting down once Halloween is past. Once December hits, though, Christmas will be here so fast you won’t believe it! I love counting down to Christmas with my children. It’s always fun and exciting for them and lets me relive that part of my childhood with the excitement and suspense of waiting for Santa. I created this cute, and completely free, Christmas Countdown printable chart. It reminds me of a Christmas quilt or even a traditional advent calendar with each of the little squares, but eliminates the work of an advent while keeping the thrill! Download the Christmas Countdown Here! 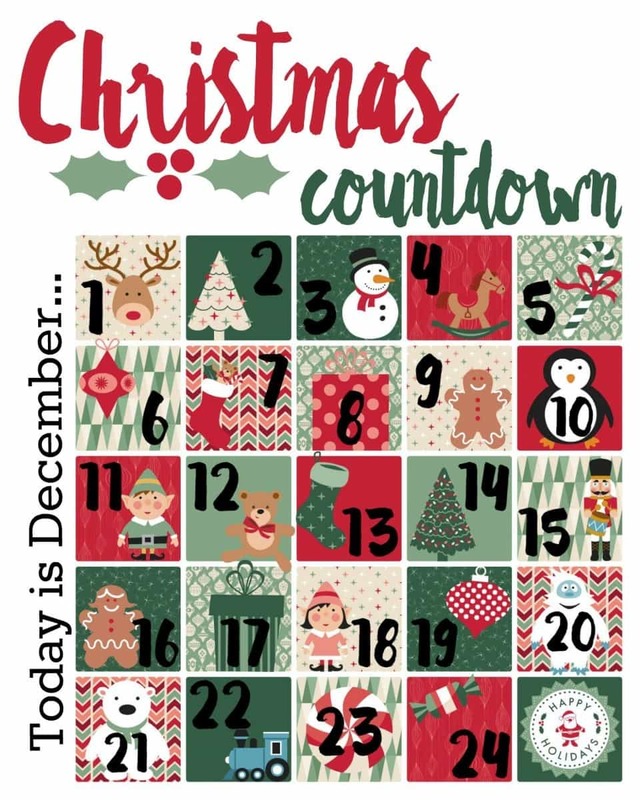 Click the image or link above to download a free copy of our Christmas Countdown printable. The link will open up a 8×10 image print that can be saved and printed on an 8×10 sheet of photo paper, cardstock, or regular printer paper. Then, frame your print in an 8×10 frame and use a dry erase marker to countdown the days until Christmas. To use this chart, just start with the first day of December by marking off #1. Each day, you’ll mark off another square until Christmas arrives. This method makes it super easy to stay on track when you miss a day, as you cross off each day aligned with the current date in December. You can use this Christmas Countdown like an advent calendar by preparing ahead of time a few varieties of treats or toys to go with each day, and store them in a bag hidden, but near, your countdown calendar. 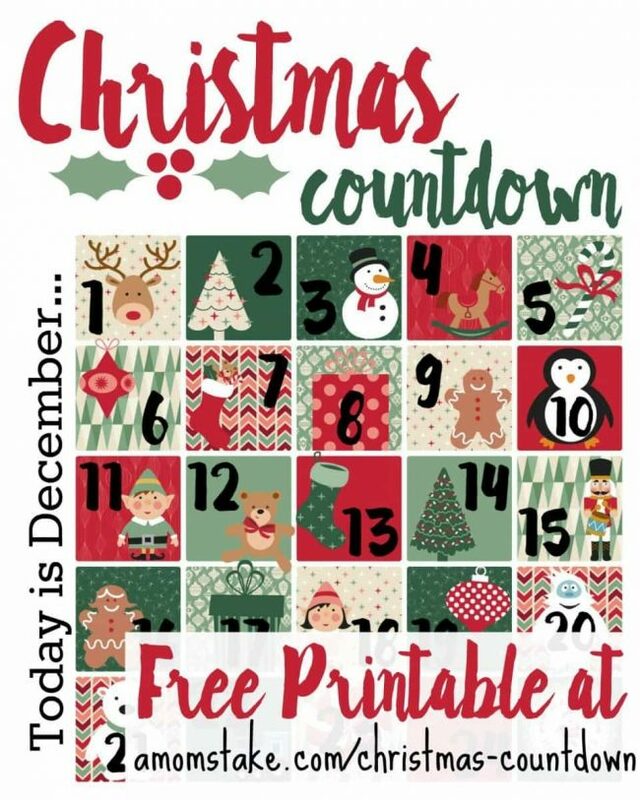 I love printables, and a Christmas countdown one? Oh the awesomeness of looking at how soon it is coming up and I am so not ready! Haha. Thank you though for a printable for the kids to enjoy! Sadly I can’t find our countdown calendar! I will have to print this in case it doesn’t turn up this weekend. Thanks for this countdown printable! Very cool. I’ll have to download it for the kids. That’s an adorable Christmas countdown printable!! I know my guys love to mark of the days until Christmas. You’re right, it looks like a cute little quilt! I love this countdown idea. It really makes the idea of how far away Christmas is understandable to small children. So cute! I love this. I will download it for the kids!